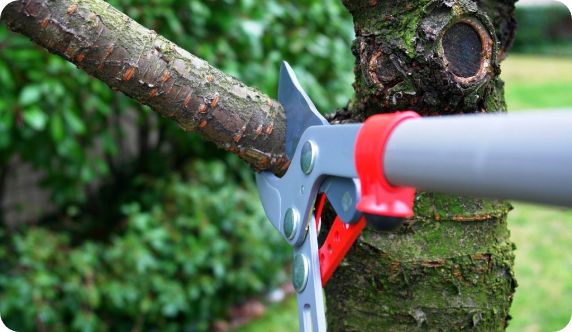 Why Should You Prune Trees? Trees are living, breathing organisms. They are alive! And just like any other living thing, they could use a good cleaning from time to time. We like to think that trimming and pruning the branches of a leafy tree on your property is the same as getting a haircut once your hair starts to get too bushy and tangled. The only difference being that when your tree’s branches get tangled up, there could be dire consequences. Rock’s Tree Service offers tree trimming and pruning services throughout the Ottawa area, and with our dedication to delicate tree care, your property will be looking better than ever. We are trained by Arboriculture Canada, fully insured, and have more than 15 years of experience in the industry, having served Ottawa since 2012! A good trim and prune is a mix of science and art. Sure, you’ve got to know the reasons why you’re doing it in the first place and the best practices for getting it done, but you also need to have a knack for predicting the future growth of limbs, a keen eye for property design, and knowledge of how to best make the trees on your property as healthy as they can be. At Rock’s Tree Service, our knowledge and experience are matched only by our passion and dedication for keeping Mother Nature healthy. Having the trees on your property touched up by professionals will help enhance the look of your property, increase the value of your home, extend the life of your trees, and, most importantly, keep you and your family safe from the hazards of falling limbs. Doing it the proper way has many benefits, just as doing it the wrong way could lead to damage. It’s important to always go with a professional service to ensure that you don’t do more harm than good. Our tree experts have years of experience as well as knowledge of the safety practices necessary for dangerous jobs. The only way we can know how to help you is by making a visit to get the lay of the land. At Rock’s Tree Service, our fully licensed experts will work carefully and quickly, making sure the end result is a beautiful, healthier group of trees in your yard. Contact us today for your free estimate.